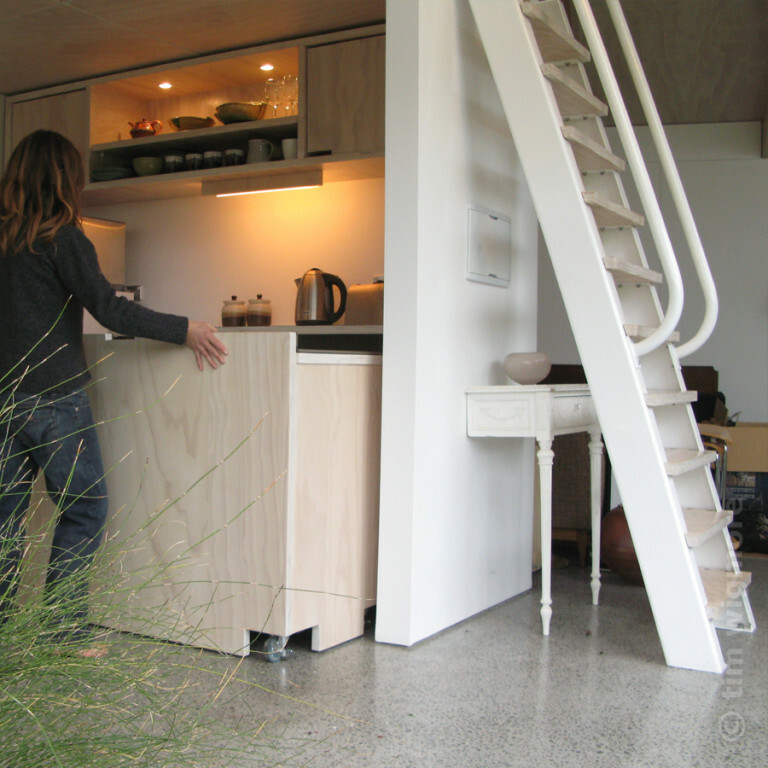 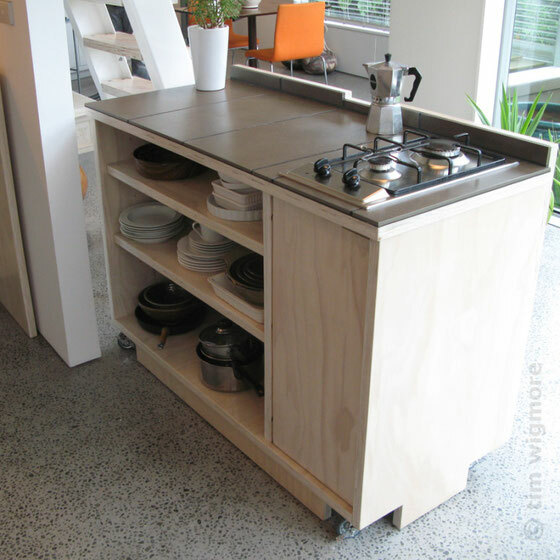 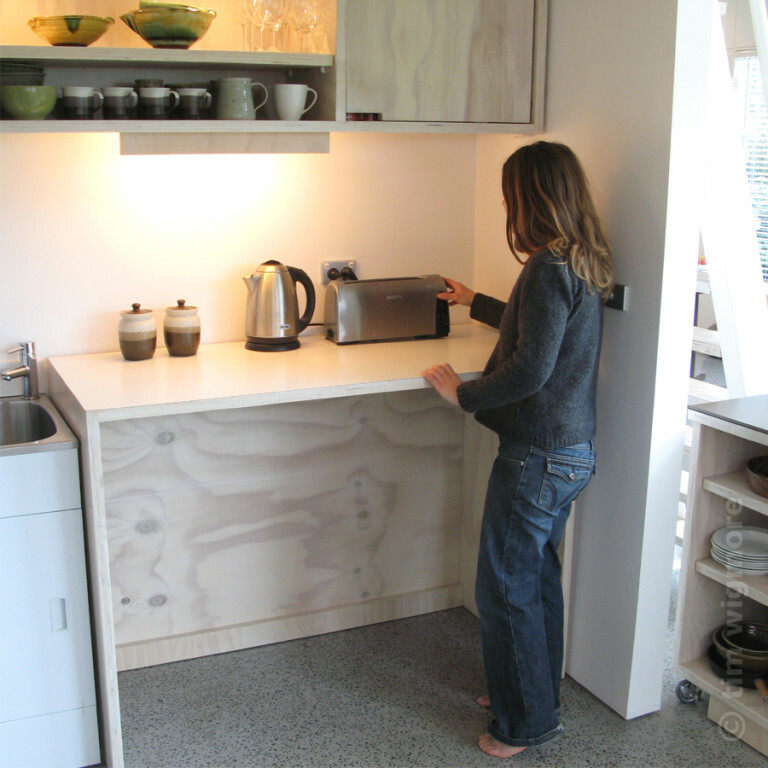 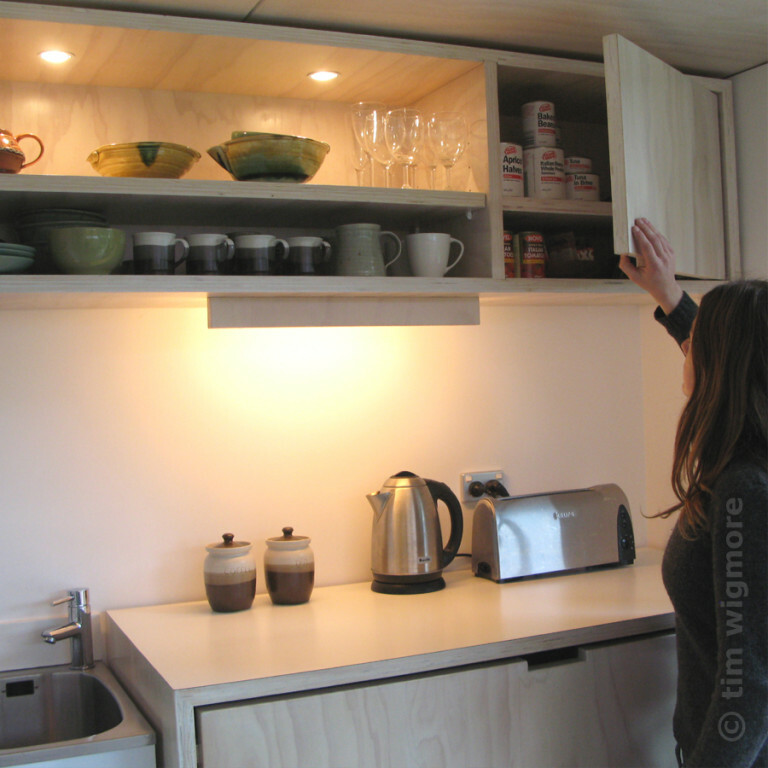 This client was looking for a flexible kitchen design for his compact open-plan studio. 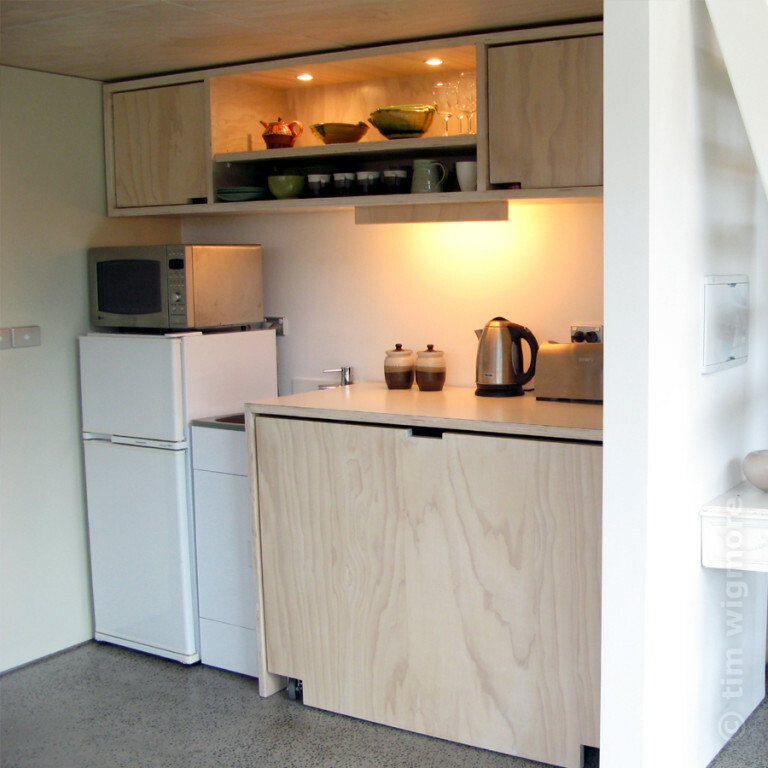 He wanted the kitchen to be either small and simple, or larger for when he catered for guests. 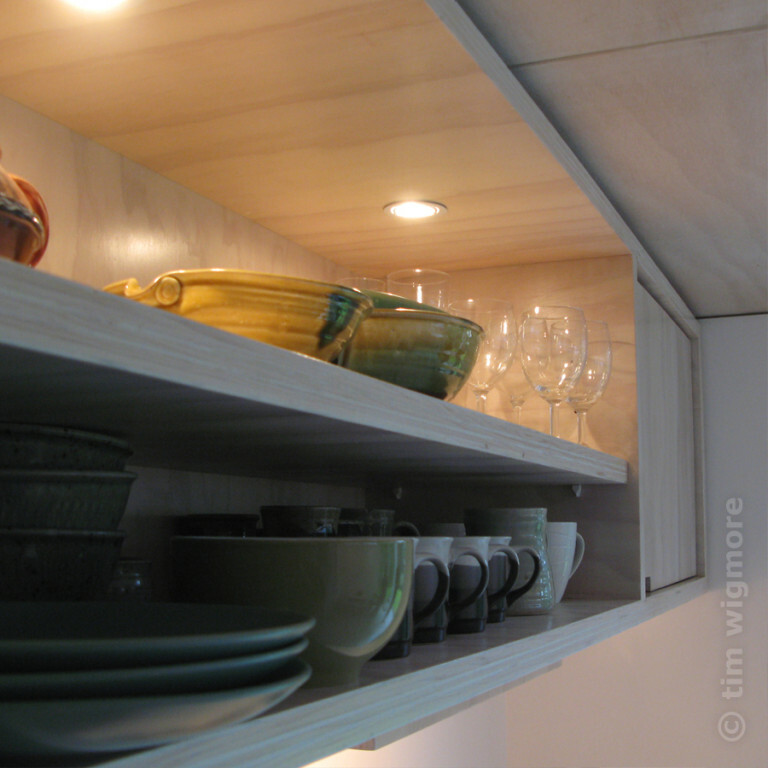 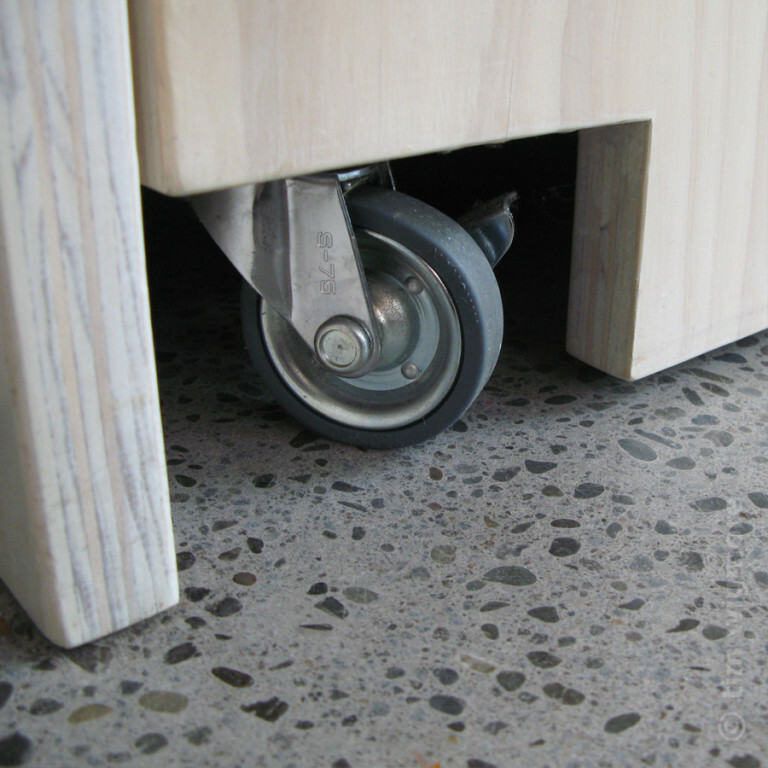 He also wanted the components to be able to lift out if he shifted house, and be easily installed in his next residence.